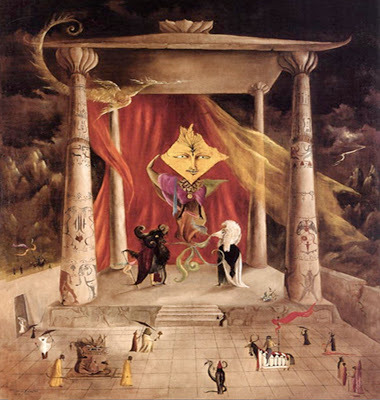 Surreal Friends – Leonora Carrington, Remedios Varo, Kati Horna. 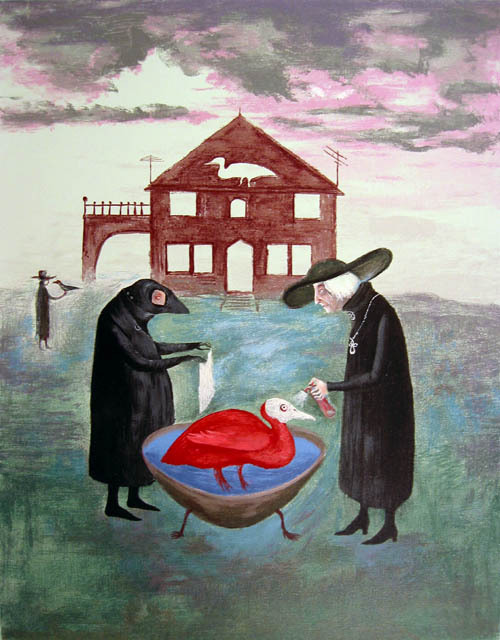 Surreal Friends , an exhibition at Sainsbury’s Centre for Visual Arts in Norwich, presented the work of three Surrealist women artists who met in exile in Mexico after fleeing political persecution in WW2 Europe: British painter Leonora Carrington (b. 1917), Spanish painter Remedios Varo (1908-1963) and Hungarian photographer Kati Horna (1912-2000). 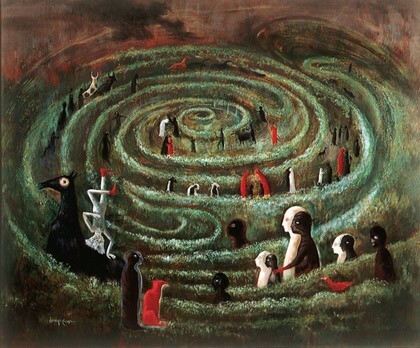 Leonora Carrington is one of my favourite painter. I love the way the often esoteric subject of her images is always counterbalanced by gentle irony, as though inviting the viewer not to take anything too literally. I also like the way the foreground and the background seem to merge in shadows in her paintings, giving an impression of a warped space where distances cannot be easily determinated. A brilliant article from the independant about Carrington, now in her 90s and still kicking! 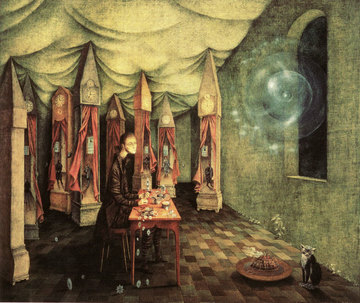 Remedios Varo is even more influenced by Alchemy and esoteric belief in her work than Leonora Carrington. Although I do admire her precise drawing technique (she was trained in technical drawing by her father, an architect), I am not drawn to her work as much. I feel the very precise lines and perfectly delimited surfaces make the images too literal. I feel that the lack of dark corners deprives them of ambiguity. Critic Stefan van Raay says that ‘Carrington’s work is about tone and colour and Varo’s is about line and form’. Kati Horna mostly make street and documentary photography in the Surrealist tradition, some photomontages and a few staged photographs. 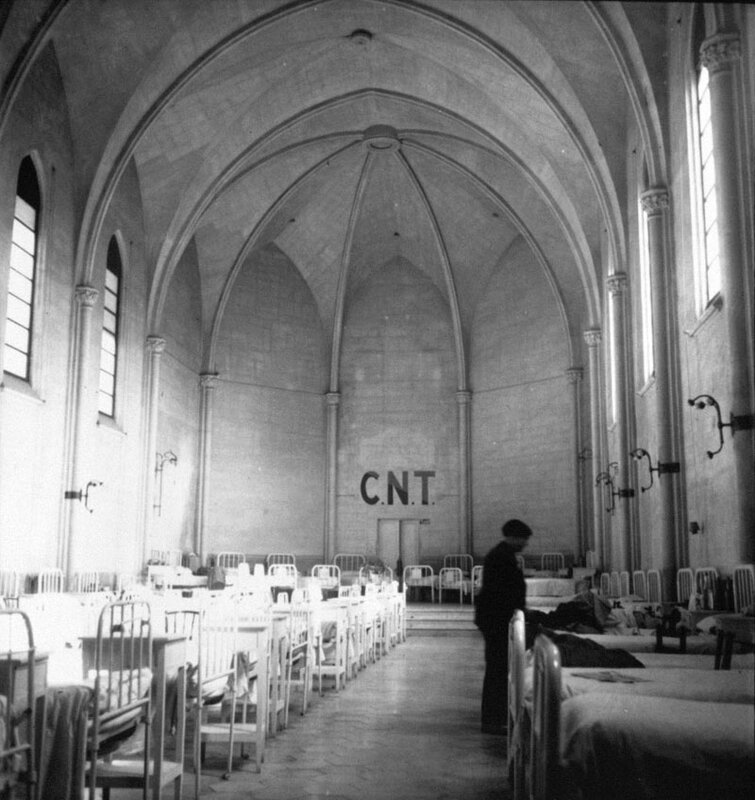 She took documentary photographs of the Spanish Civil War and made some political photomontages about it. I was impressed by this series where she documents an asylum. I loved the uncanny feeling of her photographs of Paris flea markets and skull-shaped Mexican candy. 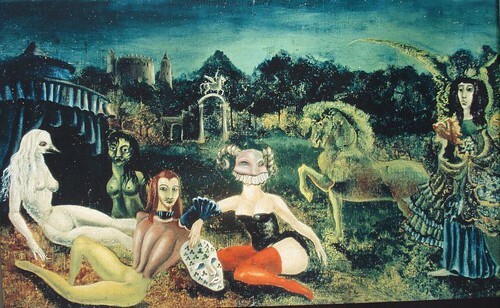 In her staged photographs, I loved this collaboration with Leonora Carrington (‘Ode to necrophilia’). 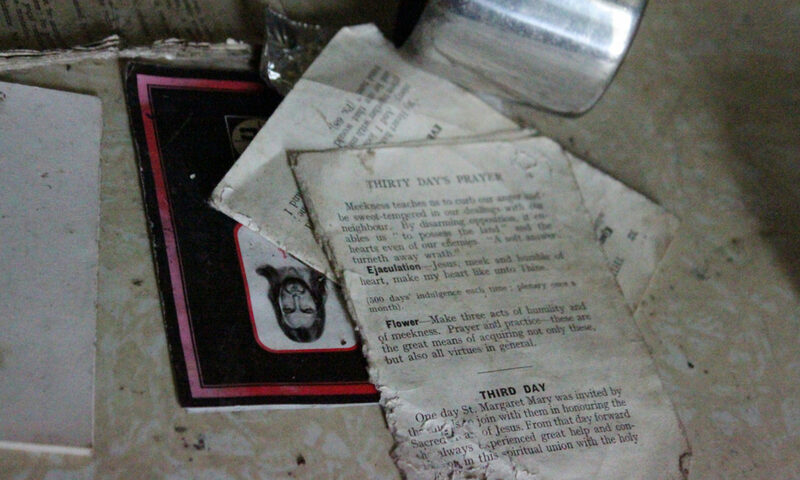 And also her creepy photographs of interiors. Thank you for this post. I find the similarities between Leonora, Remedios, and Kati fascinating. I was sharing your blog on my facebook page for cellarDoors today. I am a fan of Remedios and my friend introduced me to Leonora, and now (after reading your post), I’ve discovered Kati. Like I told my friend, what I’d give to have heard these three women discussing art and the world. Thanks again. 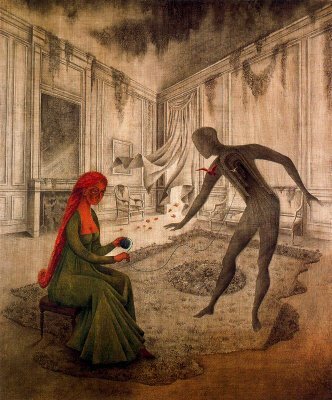 I just found Remedios Varo and am so impressed with her work. I don’t believe hers is only about line and shape – but about ideas. She takes ideas from science, mythology and metaphysics and ‘describes’ them visually. Brilliant! Not an easy thing to do. I appreciate the tight, sharp lines – they accentuate the ideas and sometimes there intensity.